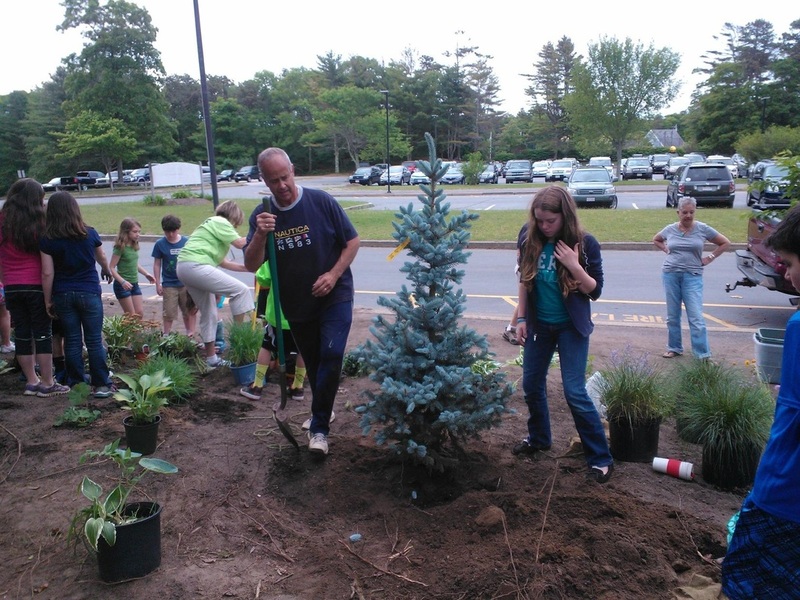 On June 9, 2014, Mr. Dan Harold (holding shovel) and students of Indian Brook Elementary School and Emily's former teacher Nancy Loftus (in green shirt) helped plant a garden that is dedicated to Emily's memory. A HUGE THANK YOU TO EVERY ONE THAT HELPED! Thank you Rich Herbert, for another article in the Old Colony Memorial to share what we have done with the amazing staff and students at Indian Brook elementary school.